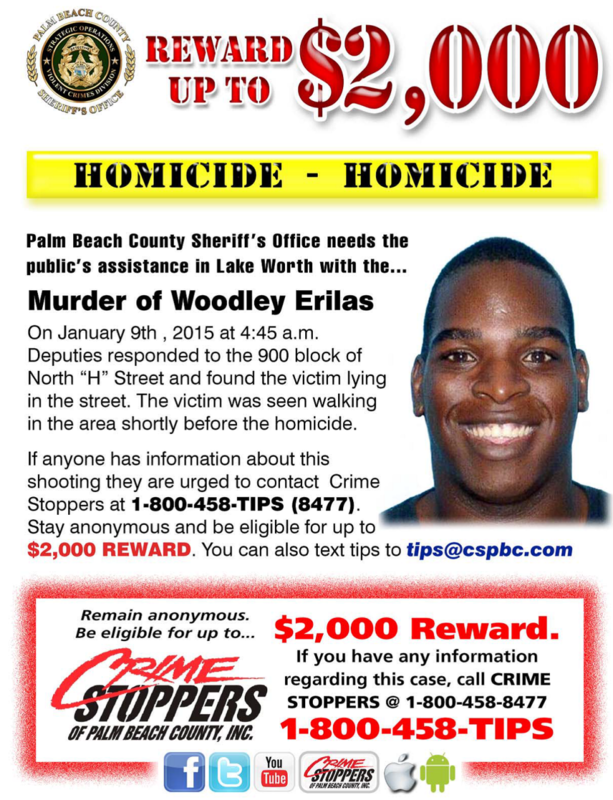 Family has increased the reward up to $2,000 for any information of the murder of Woodly Erilas in Lake Worth. On January 9th, 2015 at 4:45am Deputies responded to the 900 block of North “H” Street and found the victim lying in the street. The victim was seen walking in the area shortly before the homicide. If anyone out there has any information about this shooting please let us know or Call Crime Stoppers at 1-800-458-TIPS. The Adopt-A-Bear foundation stopped by PBSO Headquarters to donate 600 teddy bears. A woman is being accused of stealing $40,000 worth of jewelry from a home near West Palm Beach.